Cohen Inv. has been in business of building new high end homes in San Fernando Valley from since 2008. Mr. Cohen has an extensive background in designing spaces for traditional and contemporary exteriors and interiors. Each project is unique in style, finishes, landscaping and furnishings. He personally manages each project from start to finish, and takes great pride in his work. The two most recent projects were completed in 2018 in Tarzana, CA. Our building philosophy is short and simple: We are dedicated to the complete satisfaction of our customers. Inspire is a Los Angeles based private real estate development company offering a full suite of comprehensive services to meet the needs of residential and commercial real estate developers. We have successfully completed over 60 projects in the last few years and continue to maintain successful relationships with all of our customers. Our mission is to provide our clients with a complete set of professional services including construction, design, project management, and investment that are cost-effective and completed in a timely fashion. Our values have taught us to always exhibit humility and respect toward our customers, partners, and investors while guaranteeing the highest quality of work in the industry. Put simply, our goal is to make your dream project a reality. Led by RC Thornton, The Thornton Team is known for its innovative thinking and cutting edge designs. With over 20 years in sales and development, this progressive real estate boutique has consistently remained at the top of its field. 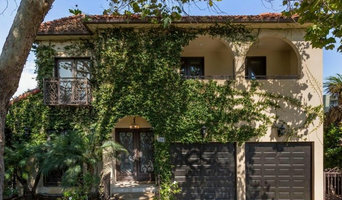 The Thornton Team specializes in Sunset Strip, Beverly Hills, Beverly Grove and the Hollywood Hills. The Thornton Team offers exceptional customized service to high end real estate sellers, buyers and developers. We have earned a prominent position in our industry based on our exclusive range of brokerage and design service offerings, our meticulous attention to detail, and our dedicated focus on all our clients’ needs. The Thornton Team is a proud partner of Compass, one of the most cutting-edge and technology savvy luxury residential real estate brokerages in the world. This partnership further enhances their client’s buying and selling experience by reaching all international and national markets with ease and simplicity. Instead of burdening the Thornton Team with menial administrative work, Compass developed a business structure and model to allow the Thornton Team to do what they do best: Real Estate. Above all, the Thornton Team takes great pride in working tirelessly and enthusiastically to ensure their clients’ best interests are satisfied. It is this work ethic and business philosophy that has further built the Thornton Team brand and positioned the Thornton Team as one of Los Angeles' most premiere real estate groups. Founded as a custom estate builder in and around Hollywood, the first Warmington company gained early recognition as the “homebuilder to the stars” with a long list of celebrity clients. Over the years, the Warmington group of companies evolved and expanded and began building production homes on a larger scale while retaining the quality craftsmanship and attention to detail for which they had become known. In doing so, Warmington became one of the most sought after names in the new home industry and remains so today. Today's Warmington homebuilding companies craft beautiful, state-of-the-art family homes in only the finest locations and today have many new home communities in various stages of construction throughout California and Nevada. Irvine Pacific understands the lasting value of a better home. Our homes are thoughtfully designed, carefully constructed, and executed down to the finest details. Irvine Pacific homes' exceptional standards of craftsmanship are matched only by our sincere and unwavering commitment to satisfying our customers. Our Signature Service extends seamlessly through the buying experience and throughout ownership, with a customer care philosophy that instills confidence and peace of mind for our homebuyers. With Irvine Pacific homes, you're buying more than a house, you're investing in your future. Diditan Group Inc. is a premier residential home builder and developer with 17+ years of experience. We specialize in creating distinguished custom homes and multi-unit projects in prime locations. Building to a higher standard is what has made Bowden Development, Inc. one of the most trusted names in California’s construction industry. Founded in Monrovia in 1971, we have created an enduring tradition of exceptional quality, consumer confidence, sharp foresight and integrity at every level. It’s only natural that we treat our clients and customers like part of the team: we understand the importance of home, community and family. It’s our motivation, each and every day. Bowden Development Inc. bases its reputation on an ability to anticipate and respond to the ever-changing conditions of building in our cities today. BDI achieves success by creating a diversified portfolio of product by type and price range, investment sources, resources, and geographical area of activity. Use of innovative designs and craft-like workmanship also mark the company as unique in the field. A policy of performing solid business practices and an impeccable fiscal history represent a foundation that will assure BDI’s competitive advantage and, thus, continued success. 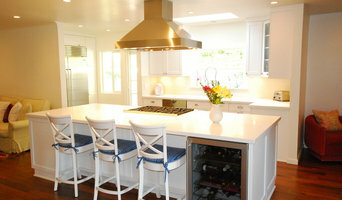 NUMI HOME is Los Angeles Real Estate Development Company. We deliver designed chic modern homes. Founded in 2005, Berardinelli Custom Builders is family owned and operated by experienced craftsmen with a heritage of fine home building and woodworking spanning five generations and rooted in Italy. With over 50 years of combined experience, we possess the knowledge, ability, and desire to ensure your satisfaction from start to finish. From remodels to complete custom home construction, BCB has a mission to serve all customers with great care and unparalleled customer service seeing fit that all work is completed to meet the highest of standards. Our comprehensive approach to helping you create the home, room, or living space of your dreams includes technical and specialty knowledge combined with quality, hands-on, management. We are at the job site on a daily basis. No matter the scope or size of the project, we are present to help problem solve, answer questions, improve plans, and develop solutions as the need arises. Each project begins with an initial customer meeting, where we gather information and learn the customer’s vision, objectives, and expectations. Once we have determined the work that must be done we meet and provide the customer with a scope of work for the project and review all of the details and pricing for the work to be completed. This helps to ensure that we are always working towards the same goals and objectives as our customers, and that we always meet our client's expectations. Richard is both a reputable homebuilder and is highly regarded for quality construction and supervisory services. Currently serving private, corporate and municipal clients in Southern California. Since 1985, Richard Smith has completed a multitude of construction projects in California with strong hands-on experience in virtually every aspect of entitlement, development and building. From storm drain infrastructure to the keys to the front door or from a custom estate house to a custom warehouse, Richard has successfully built them all and everything in between. He is currently active in building select high-end custom residences along with commercial and industrial contracting projects throughout the San Gabriel Valley. Notably Bradbury, Arcadia, San Marino, Pasadena and La Canada. Richard has always been known for being on the job working alongside all the different subcontractors and an excellent team player. Fair Property Buyer is a real estate development company based in Newport Beach, CA that purchases residential properties throughout Orange County, California. We purchase properties in need of rehabilitation and provide a fast, as-is sale for the homeowner in as little as 7 days or the time frame that suits their needs. All aspects of construction, from small jobs to custom building homes. Custom Home builders, Complete Remodeling, Kitchen remodeling, Bathroom remodeling, Roofing, Electrical Work, Plumbing, Flooring, Stucco, Foundation, Framing, Windows, etc. We take great pride in actively listening and asking a plethora of questions during the first phone call. We strive to see the project through the eyes of the home owner. The closer our visions align initially the more synergy we will have throughout the entire project. We have some basic information that we send over to you that is a great way to gather all of your ideas ,notes, priorities, pictures, and styles.